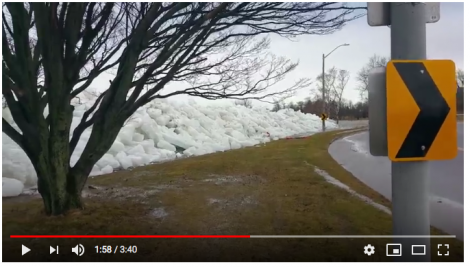 A Youtube video shows the dramatic surge of ice over the Niagara River shorewall at Fort Erie Sunday. Garbage and organics in Fort Erie will not be collected Thursday. This includes leftovers on rural routes from Wednesday. Town continues to be battered by cold and blowing snow. Environment Canada predicts temperatures to dip to -24C and strong winds to continue overnight. Public schools in Niagara are open but buses have been cancelled for the day. Exams will be rescheduled. Town transit bus start is delayed to 7:55am and there may be further postponements or cancellations. FAST status is unknown. The overnight temperature was not as extreme as predicted, hitting -17C, but it is not expected to warm up very much through the day. A Fort Erie Transit bus was involved in a collision with a car on Dominion Road near Burleigh Monday afternoon. The Town said the service would be back to normal by 5 p.m.
A passenger reported on Facebook that there were three riders plus the driver, all of whom were not injured. The status of a woman in the car is unknown. They transferred to another bus and resumed. 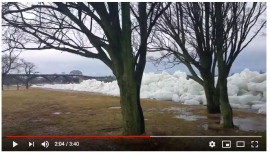 Niagara Region reports that waste collection was not completed in Fort Erie (specifically, areas in Crystal Beach), and most other municipalities including the three big cities. Material is expected to be collected Tuesday. Christmas tree collection begins Monday with regular trash and recycling collection and will continue for the week. Make sure the decorations are removed before you take it out to the curb. Don’t put them in a bag. Artificial trees will not be collected. Fort Erie firefighters will collect food and donations at Walmart and No-Frills Saturday from 9 a.m. to 3 p.m. for local families in need this Christmas. Ridgeway Lioness Club will hold their annual Christmas Magic craft show Saturday from 9 a.m. to 3 p.m. at the Crystal Ridge Community Centre. There will be more than 30 vendors on site as well as a penny sale, bake sale and chili lunch. Ridgeway Lioness support local food banks, families in need, dog guides, Camp Kirk and Trillium, VON, CNIB and others. 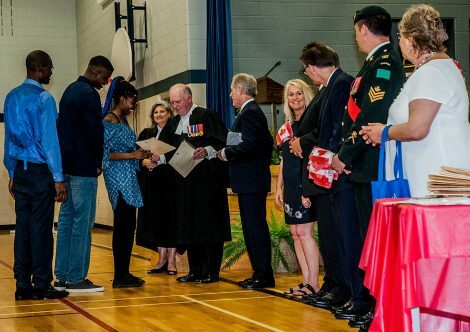 Canada’s newest citizens received their certificates from Presiding Official Michael Scott after they swore the oath of citizenship during a ceremony Friday morning at Peace Bridge Public School. 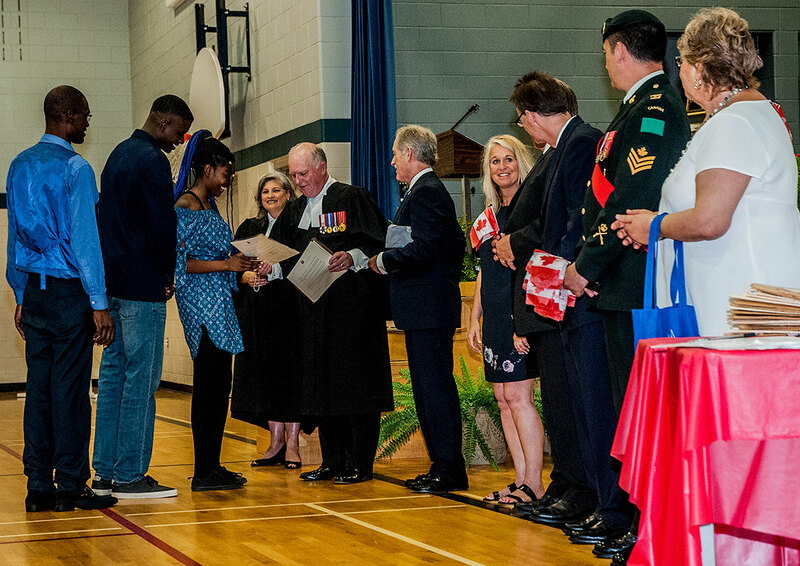 About 30 people gained their citizenship in a ceremony which is held approximately every month.